The sages of the Mishna lived through one of the greatest transitions of Jewish history: the destruction of the Temple and withdrawal of divine revelation. Assuming responsibility for the future of the Torah, the sages set about bringing it out of the Temple and into everyday life, determined to keep it alive in a world of change. In his commentary to Pirkei Avot, Rabbi Irving (Yitz) Greenberg mines the book for the religious and ethical wisdom, the humility and the courage, the staunch traditionalism and the bold innovation that guided the sages through this tempestuous era. 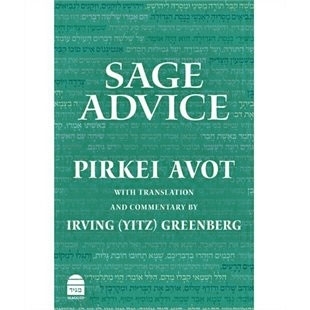 Framed by thumbnail sketches of the lives and times of the sages, the book's line-by-line commentary offers an original reading of Pirkei Avot, applying its teachings to the questions and challenges of our rapidly changing world.